Perception is reality and reality is what ever you perceive it to be. The things you do most often becomes you. If you believe you aren’t worthy then you will continue to hold yourself back. If you believe you aren’t deserving of the all the good things that may come your way, then you’ll continue to put yourself down. We know that behaviors can be managed and improved upon, and results are simply the cause and effect of your behavior. 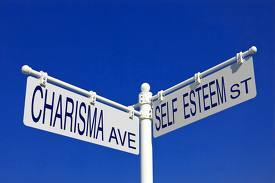 Your level of self-esteem is in direct proportion to your internal dialogue – the things that you tell yourself and what you think of yourself. We all feel insecure and unsure of ourselves at times. We all have bouts of self-doubt – especially if we are attempting to do something we’ve never done before. No one wants to look silly in front their peers or make a mistake. Most humans would rather walk backwards into the future than turn around and face new challenges head-on. What would be worse? Taking on new challenges and discovering what you are capable of or letting your low self-esteem banish you to live your life in the land of shoulda coulda woulda forever. There are a number of great books on how to develop your self-esteem. One of my favorites is Nathaniel Branden’s book “The Six Pillars of Self-Esteem”. Dr. Branden has done more than any other theorist to advocate the importance of self-esteem to your well-being. He believes the value of self-esteem lies not merely in the fact that it allows us to feel better about ourselves, but that it also allows us to live better – to respond to challenges and opportunities more resourcefully and more appropriately. If you have a poor opinion of yourself, and remember an opinion is rarely based on fact, then that poor opinion of yourself translates into a lack of confidence – which causes us to think negative thoughts. Negative thoughts in turn causes us to hold back and give up easily rather than face tough challenges. Self-doubt is a deal breaker in so many ways. Read over the list below and decide where you want to start. Remember – You are the boss of you. No one has the power to take your self-esteem away without your permission. You must believe in your heart of hearts that you are worthy – because the truth of the matter is – you are. Stop comparing yourself to others. You are unique. There is no one else who is exactly like you. Different is just different and different is OK.
Stop putting yourself down with negative thoughts. You are good enough. You have all the tools you need – you just need to get out of your own way. Surround yourself with positive, supportive people. The truth is not everyone wants you to be successful and leave them behind. But do it anyway. Get involved in the work and activities that inspire you. If you knew you couldn’t fail – what would you rather be doing? Go and do that. Give more of yourself to those around you. Volunteer, become a Big Sister or Big Brother. Pay it forward. Help those less fortunate than you. Respect your own needs. Stop putting everyone else’s needs ahead of your own. You have nothing to feel guilty about. You have a right to be happy. Stop trying to be perfect! You don’t have to be perfect. You just have to be good enough. Stop listening to the should-do’s. Stop listening to people who tell you that you should be doing this or doing that. Do what you think is right for you. Copyright (C) 2013. Brian Smith. Looking for a speaker, planning a lunch-n-learn or organizing a training session? Brian specializes in soft-skills training and leadership development. He will work with you one-on-one to insure your event is an overwhelming success. Contact Brian today – briansmithpld@gmail.com or visit http://briansmithpld.com to find out more.